New Bazaar will be transformed for a day into the city's art scene. 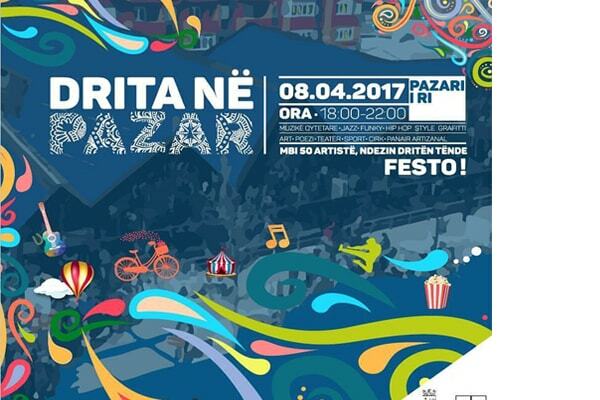 This Saturday on 8 April 2017, from 18:00 to 21:00, in the New Bazaar of Tirana will be organized the "Lights on Bazaar" party. Children and adults are invited to have fun with various activities and different music genre. Concert, theater, paintings and poetry, circus show and more. The program of the event includes more than 50 artists who will perform for the all participants.